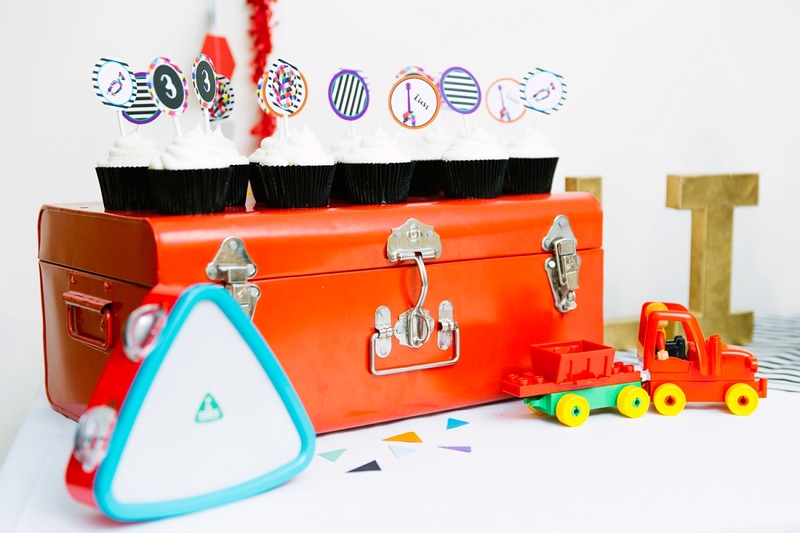 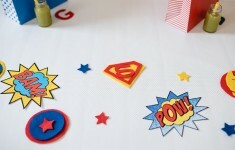 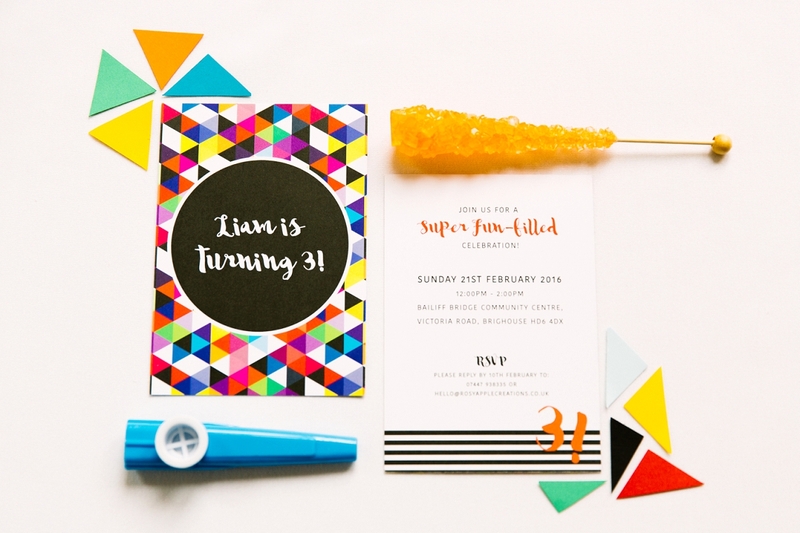 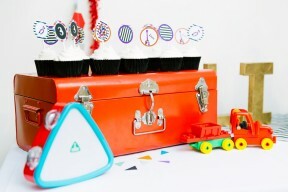 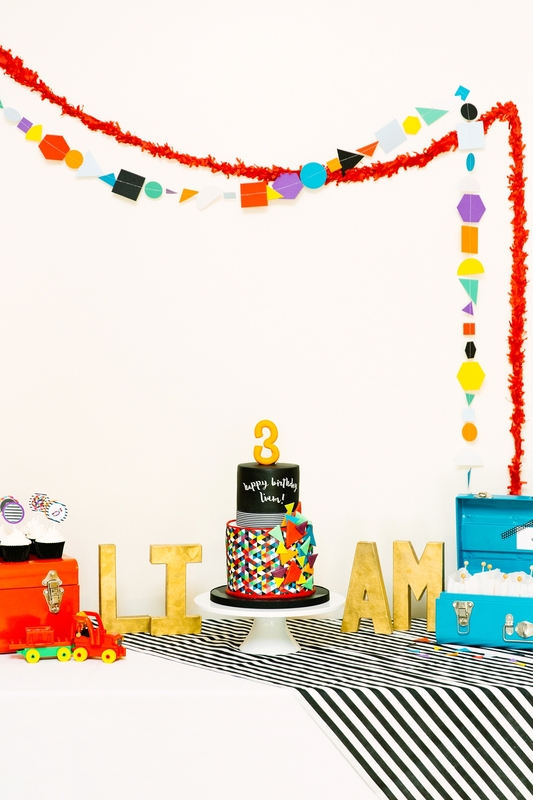 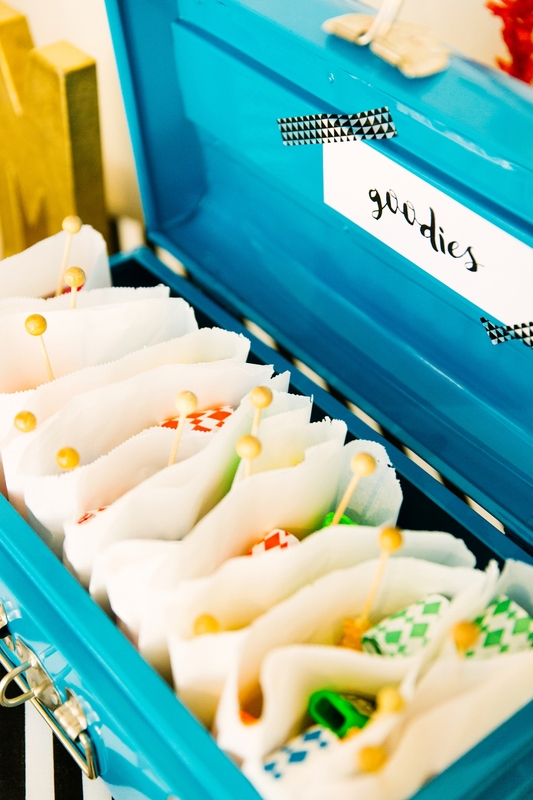 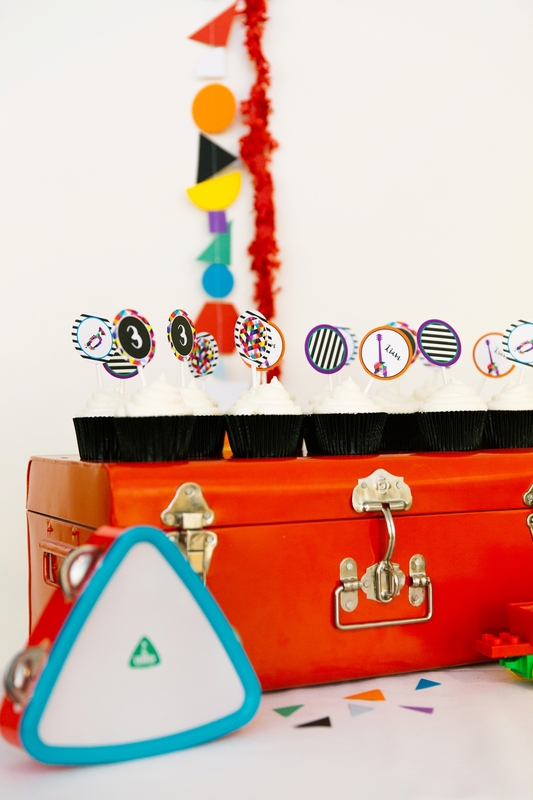 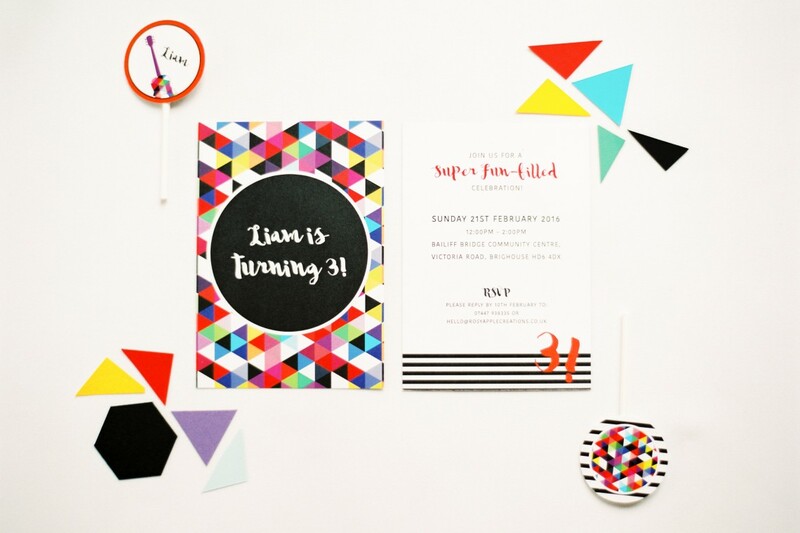 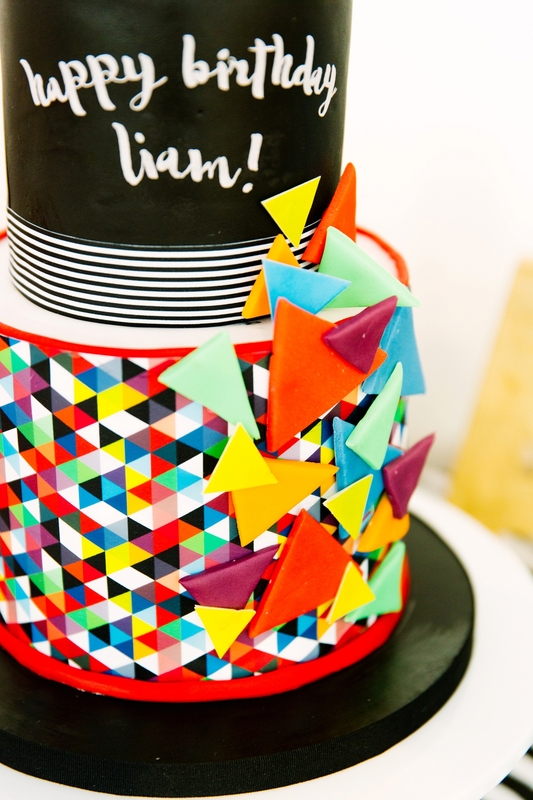 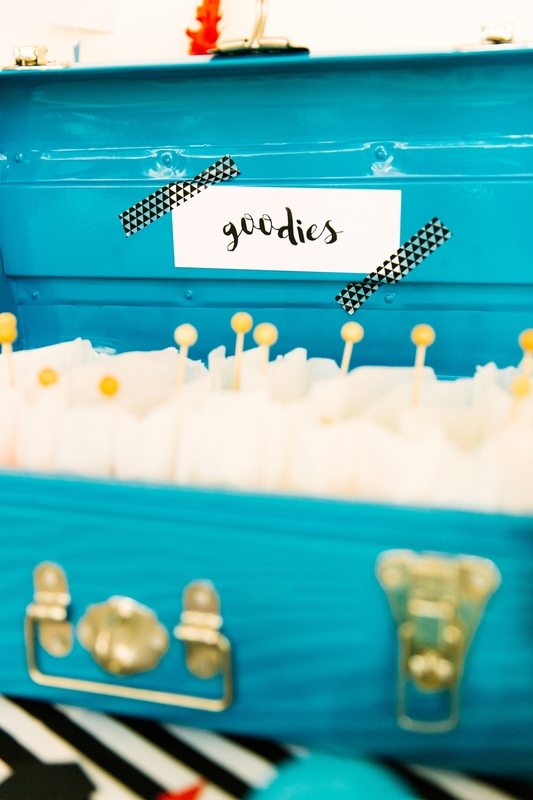 For Liam’s birthday party this year I knew I wanted to use a colourful and modern theme, which also incorporated some of Liam’s favourite toys and activities to make it more personal. 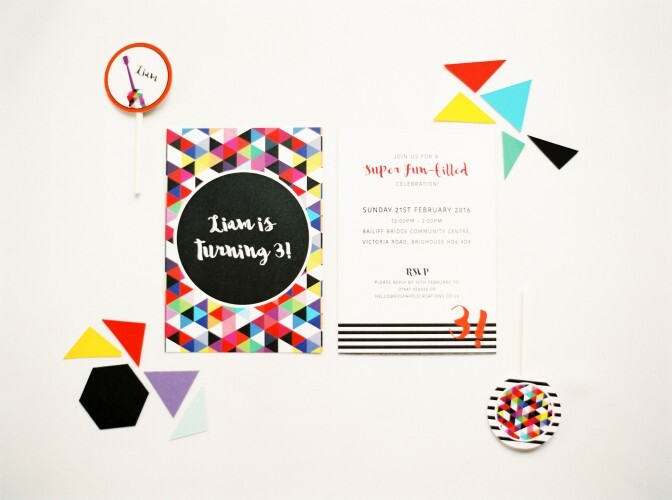 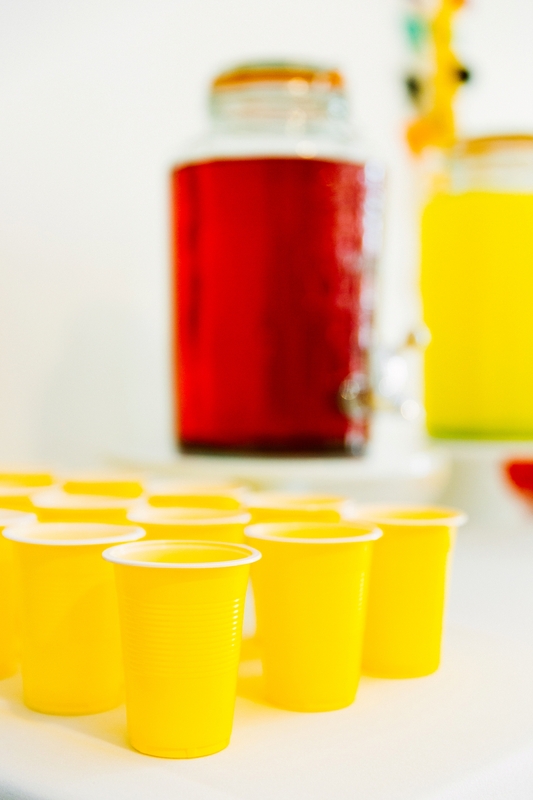 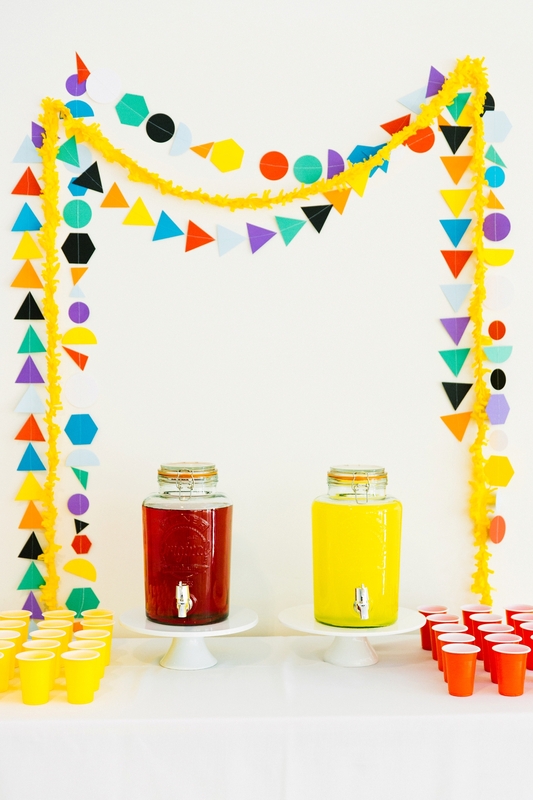 Recently we’ve been focusing a lot on teaching Liam about colours and shapes, so it seemed fitting to use this as the starting point for his colourful geometric party! 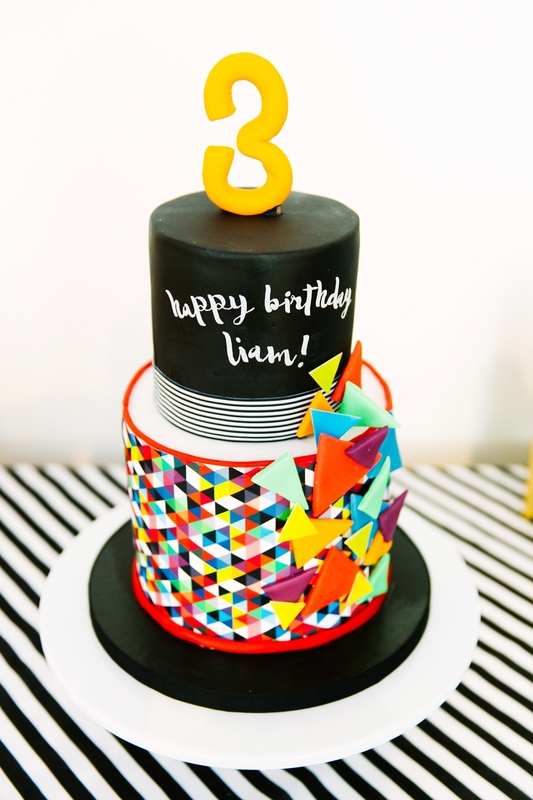 I chose a mixture of bright colours, paired with black and white stripes for a modern look. 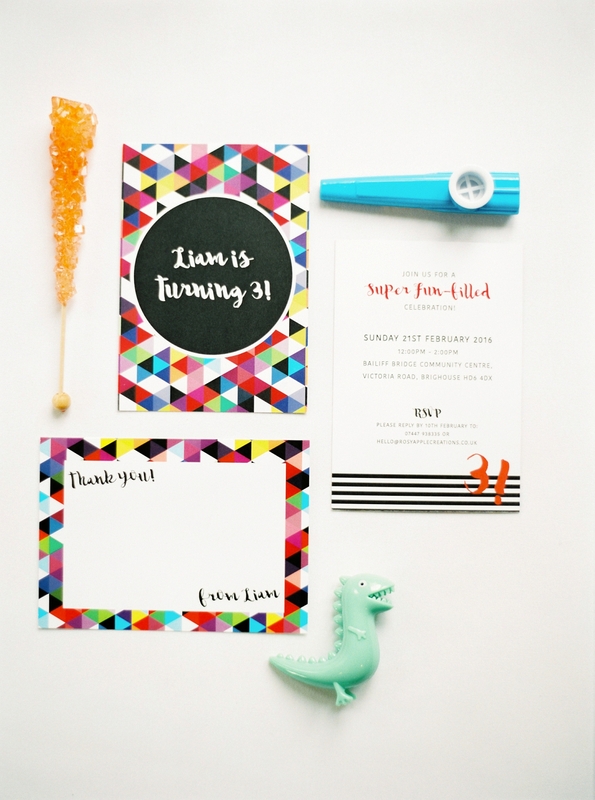 I created the invitations as well as matching thank you cards to coordinate with the theme, they looked perfect (even if I do say so myself!). 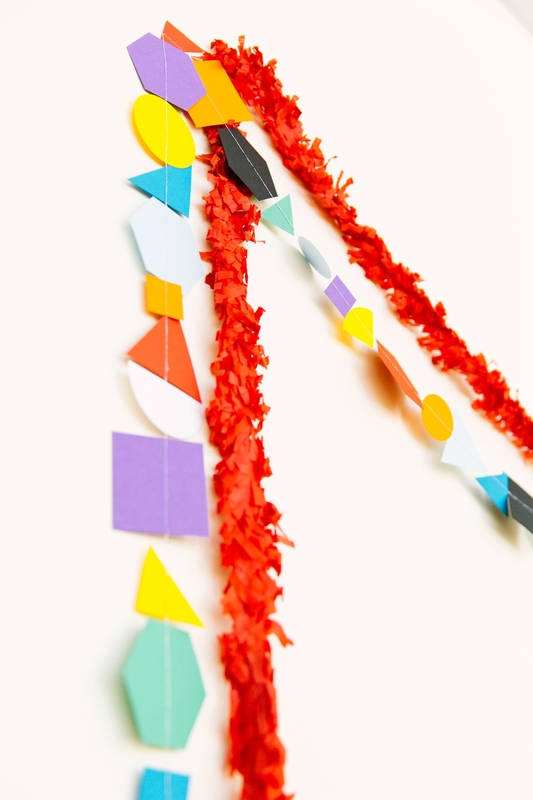 My lovely friend Carolyn (who also happens to be the owner of Gray Starling Designs) helped to supply some colourful geometric shapes which I then sewed together to create paper garlands to hang around the venue. 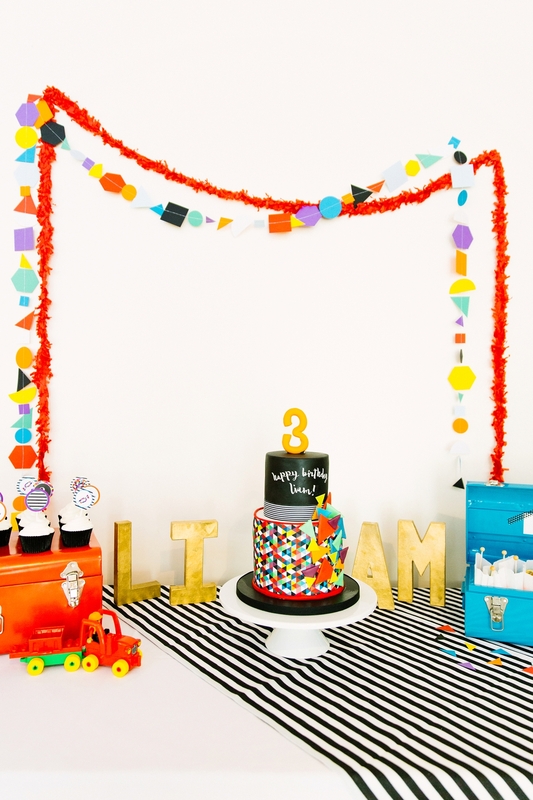 I also used some fringed paper garlands which I purchased from The Pretty Little Party Shop – the garlands made perfect backdrops! 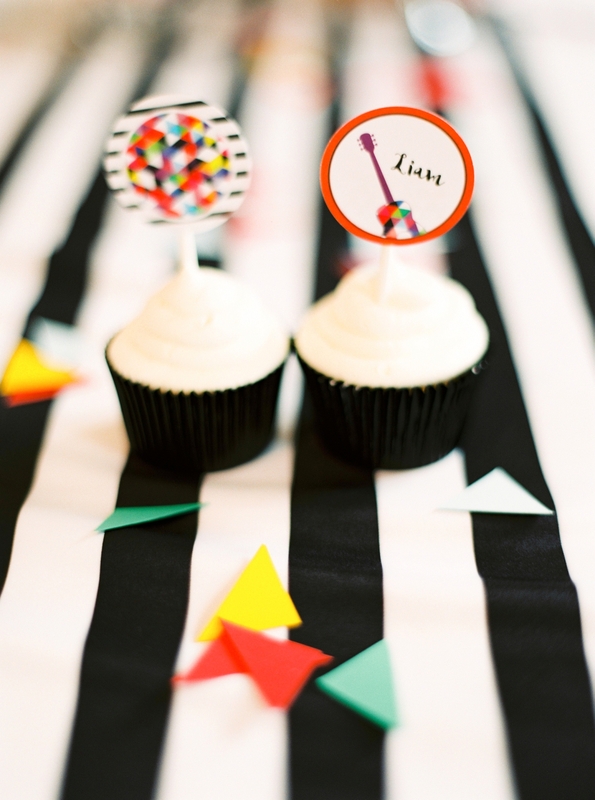 For the kids table we had black and white striped fabric runners and giant red balloons. 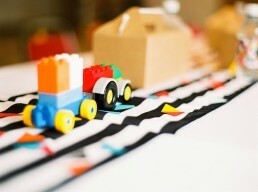 I used some of Liam’s Duplo bricks to create trains and cars which were then placed down the centre of the table for décor. 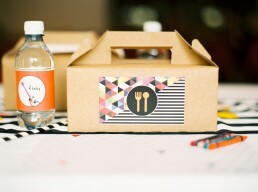 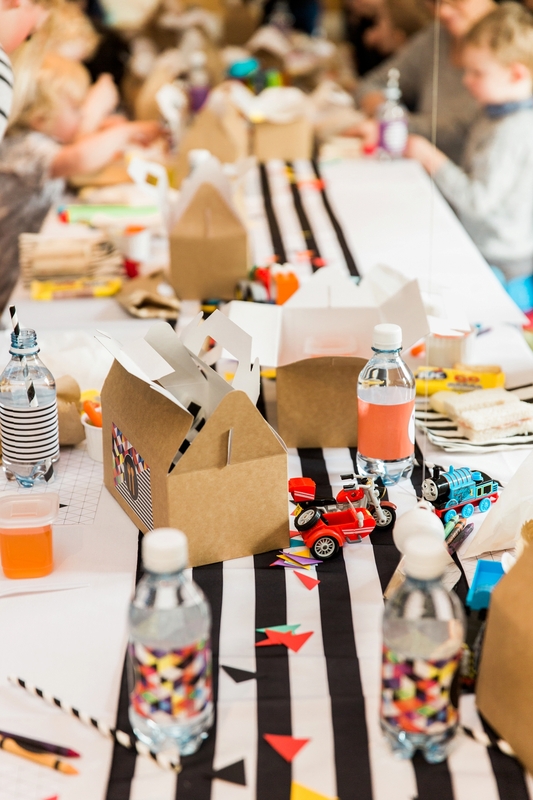 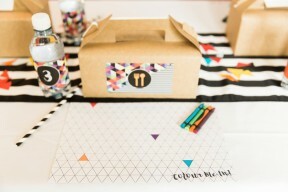 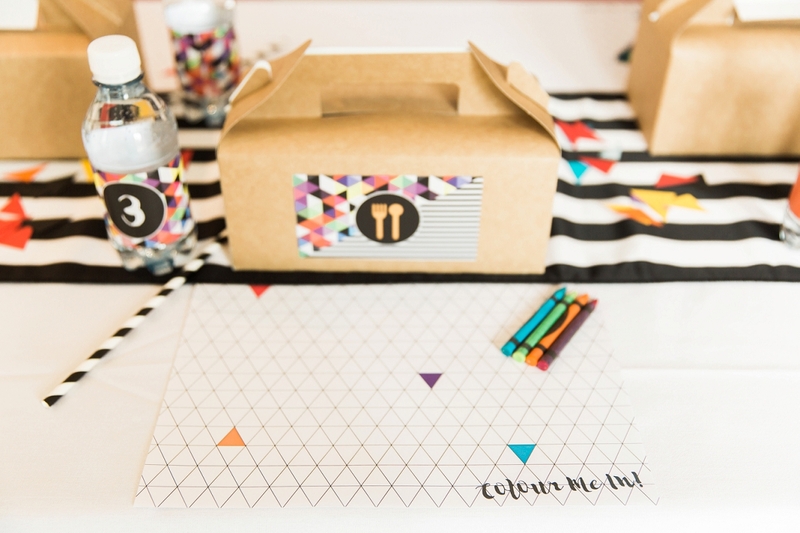 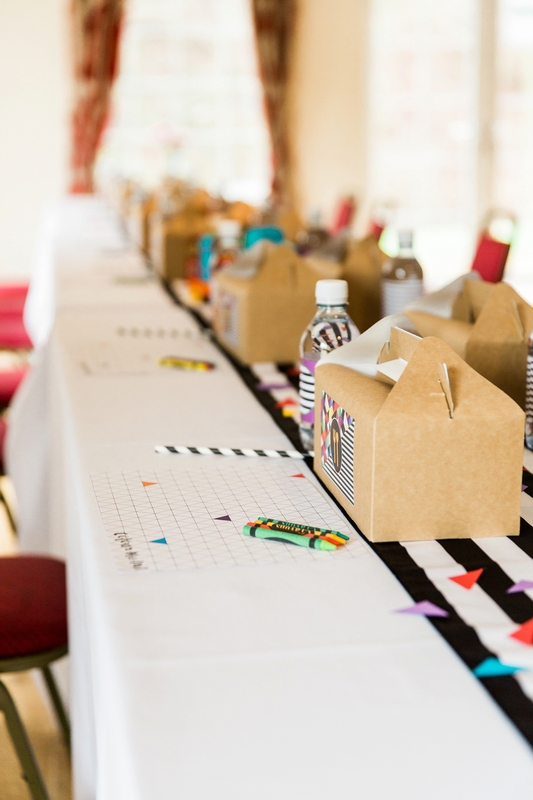 I created geometric patterned place mats which the kids could colour in, and they each received a cute kraft lunch box filled with yummy goodies and a bottle of water with coordinating label and stripey straw. 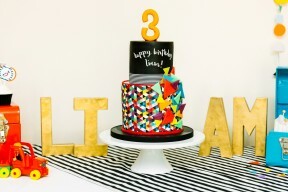 The birthday cake (made by Sweet Sugar Sixpence) was a real showstopper and Claire did an amazing job of matching it to the theme and it was delicious! 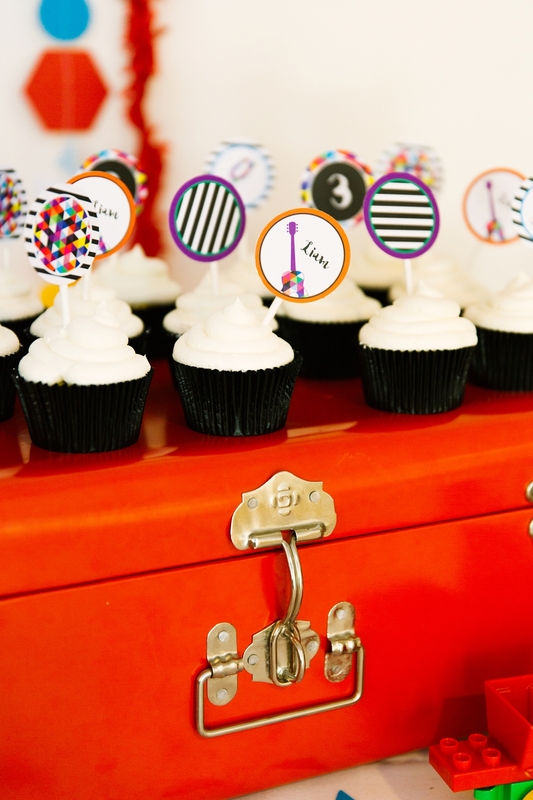 My fabulous Mum made some cupcakes which I finished off by creating some coordinating cake toppers, and displayed them on a bright red metal suitcase which I already had at home. 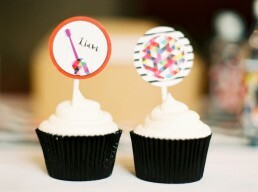 Liam absolutely loves music! 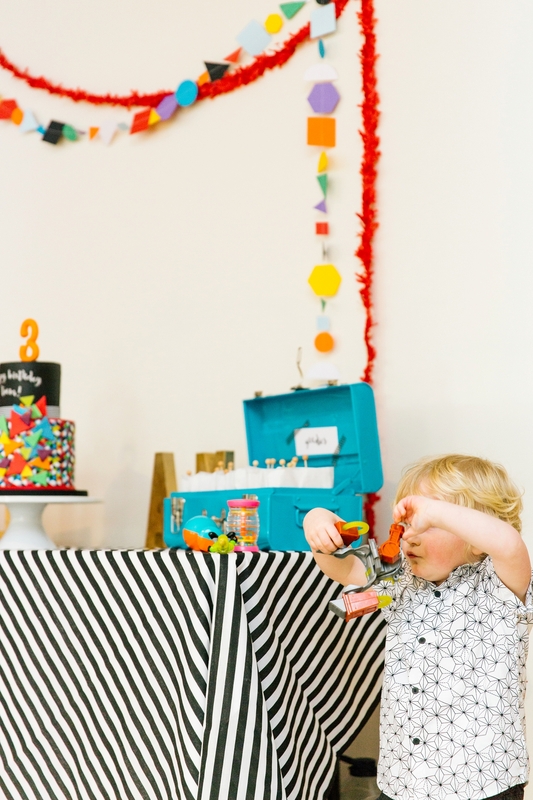 He’s always singing along to the radio or playing with his big brother’s guitar or any other kind of musical instrument he can find. 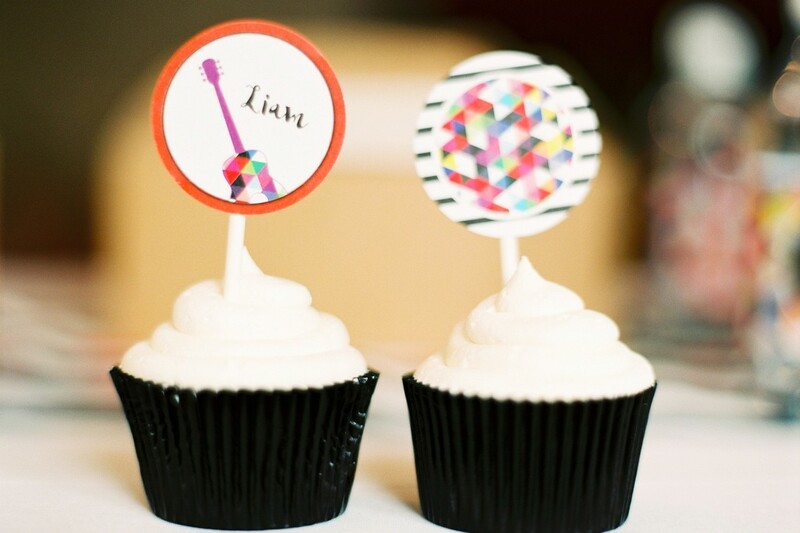 So I wanted the party to have some kind of musical element to it. 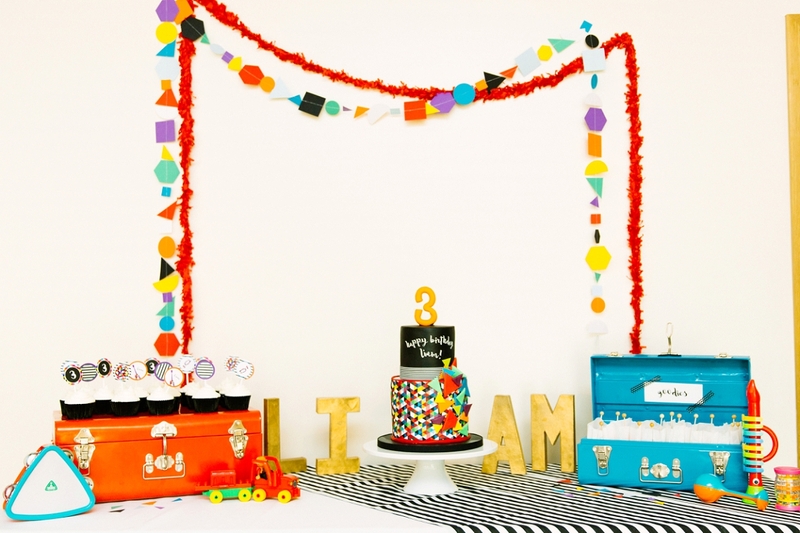 I used some musical toys as décor around the venue, as well as a really cool giant keyboard which the kids and adults all loved! I also hired an entertainer who came along and played lots of musical games with the kids. 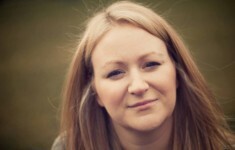 I'm Gemma and I'm the heart and soul behind Rosy Apple Creations, a wedding planning and design boutique based in the Yorkshire Dales. 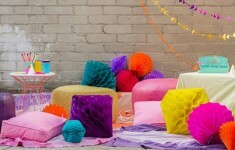 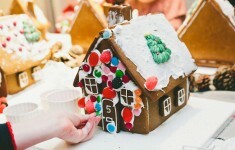 I heartfully plan, design and style beautiful celebrations which are full of loveliness, meaning and love. 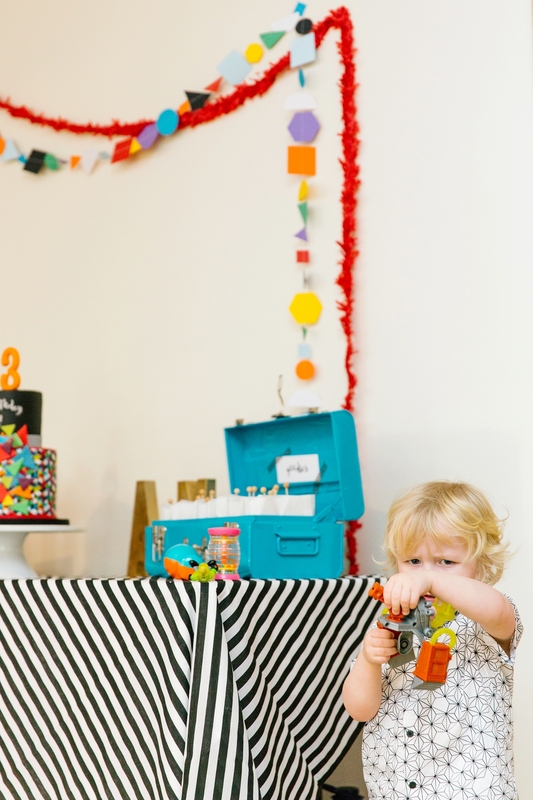 I'm mama to two gorgeous boys, Jake and Liam, and I love them both with my whole heart. 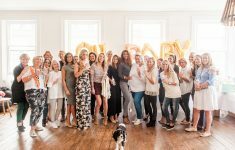 I know all too well that being a parent brings its own challenges and running a business too means there is always a lot to juggle. 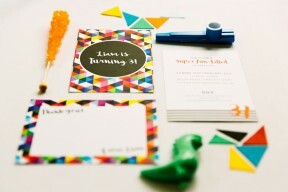 I have a confession to make though....I'm a huge fan of routine! 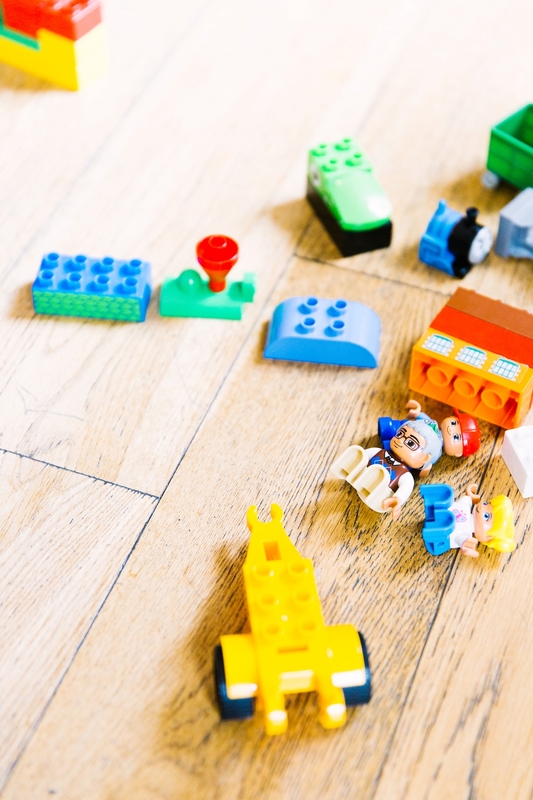 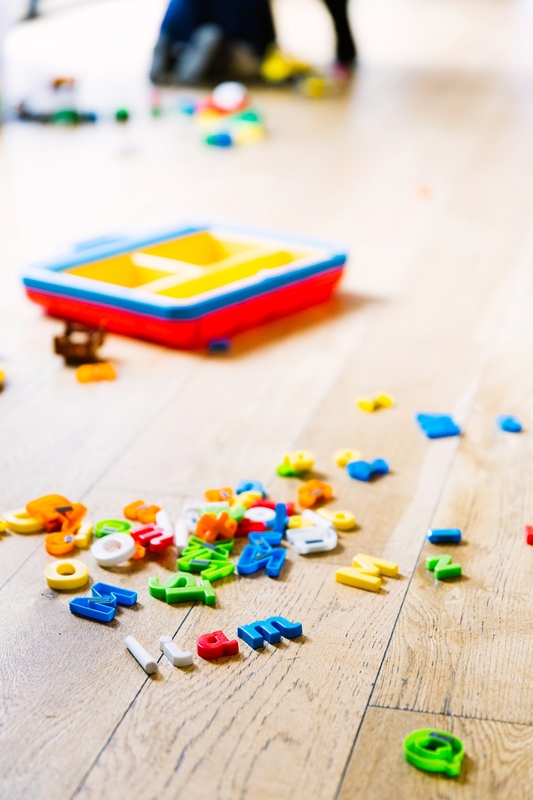 I find it's the best way to have a chaos free house, especially when it comes to getting our family ready on a morning which can often turn into a whirlwind of craziness!